For any barber, shears and scissors are like an artist’s brush. They’re your foundational tools, an element of your business that’s absolutely vital. 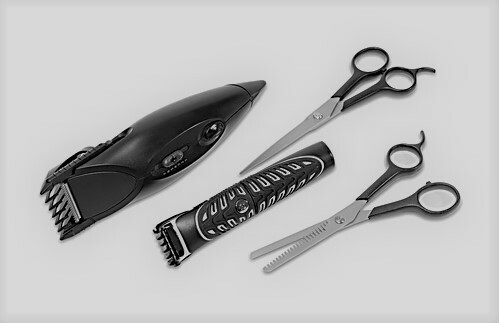 At Collectiv Academy, one of the first things you’ll be introduced to upon beginning your barber school program is our Professional Pack, featuring scissors, shears and numerous other important salon items. Once these are in your possession, maintaining them is vital – and this remains the case throughout your career in cosmetology. We’ll give you more details in the program, but here are a few basic tips for cleaning and maintaining shears. In all honesty, shears should ideally be cleaned after every individual cut. Many salons take shortcuts here, and simply drop the shears briefly into Barbicide after cuts – you can do better. This often leaves extra hair caught in the shears, meaning that while they’ve been sanitized, they haven’t actually been cleaned. Barbicide can also damage shears if it’s used too often. Instead, clean your shears with warm, soapy water after sanitization. Wipe the blade moving away from the cutting edge, and be sure to check connector areas where hair is most likely to get caught. Make sure the shears are completely dry before storage, to help prevent rust – but don’t use a hair dryer, which can warp the blades. You need to lubricate sheers at least once a week – a good way to remember is to lubricate them every week on the final day before your day off. This allows plenty of time for the lubricant to do its work before you need to sanitize the shears again for the net cut. A few drops of basic shear lubricant around the pivot screw of the shears will do, after which you simply open and close the blades gently a few times to let the gel reach everywhere in the screw. Wipe the extra gel off, and store the blades in a case or pouch. Sharpening doesn’t need to necessarily happen at a set interval, but rather whenever you notice shears having issues with pulling or pushing hair, rather than simply cutting it. Standard shears should last for between 600 and 700 customers between sharpenings, but this may vary. If you frequently cut thick, coarse or dirty hair, it may be fewer. For specific training on these elements, or to learn more about any of our cosmetology school services, speak to the educators at Collectiv Academy.